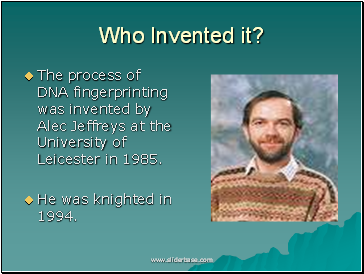 The process of DNA fingerprinting was invented by Alec Jeffreys at the University of Leicester in 1985. 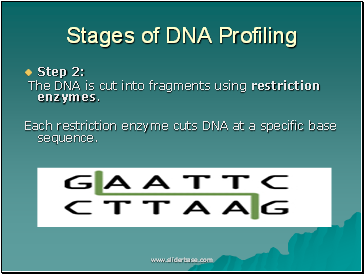 The DNA is cut into fragments using restriction enzymes. 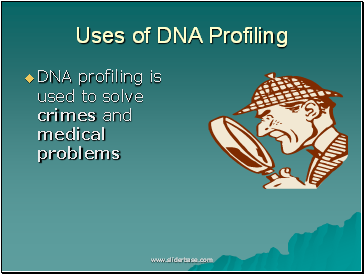 Each restriction enzyme cuts DNA at a specific base sequence. 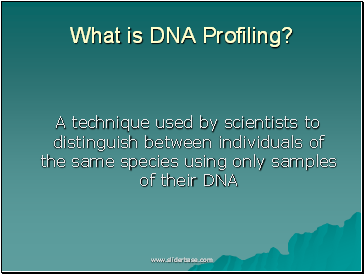 The sections of DNA that are cut out are called restriction fragments. 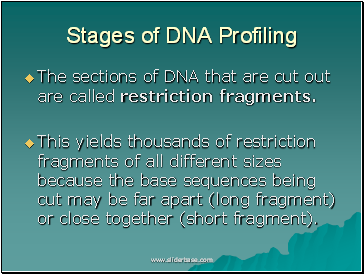 This yields thousands of restriction fragments of all different sizes because the base sequences being cut may be far apart (long fragment) or close together (short fragment). 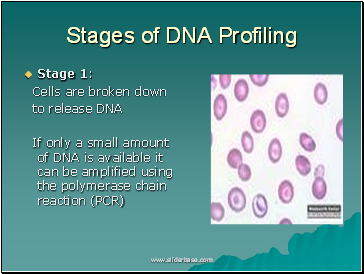 Fragments are separated on the basis of size using a process called gel electrophoresis. 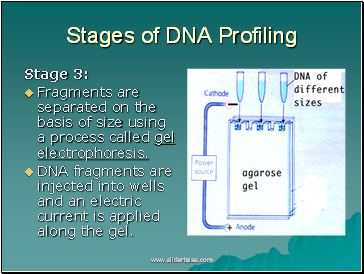 DNA fragments are injected into wells and an electric current is applied along the gel. 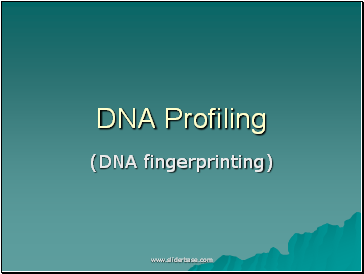 DNA is negatively charged so it is attracted to the positive end of the gel. 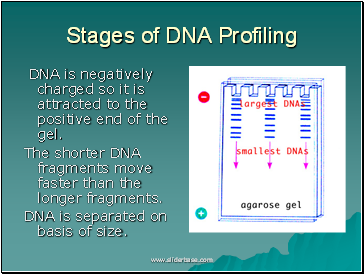 The shorter DNA fragments move faster than the longer fragments. 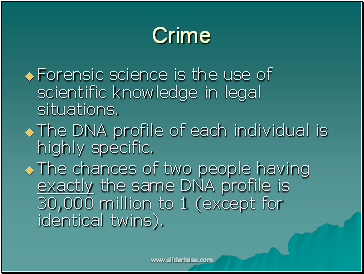 DNA is separated on basis of size. 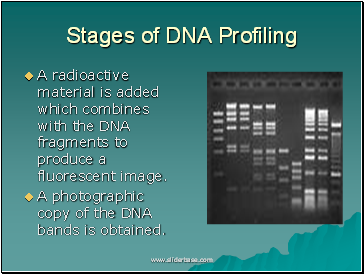 A radioactive material is added which combines with the DNA fragments to produce a fluorescent image. A photographic copy of the DNA bands is obtained. 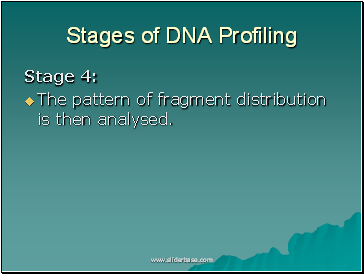 The pattern of fragment distribution is then analysed. Was the suspect at the crime scene?